Catching goldentile fish in Ft. Lauderdale is quite exciting; these fish can get quite large and are excellent table fare. Golden tile fish live in depths deeper than 700 ft. and they live in burrows inside muddy bottoms. Golden tile fish are very aggressive scavengers that will eat almost anything that goes near their burrow. They will eat a variety of baits including squid and cut fish. Fishing in Ft. Lauderdale, we are very fortunate to be able to reach depths of where these fish quite easy on a half day fishing charter. 700 feet of water is just over 3.5 miles from shore. The best way to target these fish is to use power asset or electric reels, these types of reels help us to drop bait to the bottom and bring it up quickly. We mostly use electric reels for these fish due to the northern current of the gulf stream, sometimes we use up to 8 lbs. Of lead to reach the bottom. Finding these fish can be a challenge but do to the electronics and experience of the YB normal crew it is not a problem. Golden tilefish like muddy ridges on the sea floor these ridges run a couple of hundred of feet long. Once overhead of them it is best to drop all the way to the bottom using a multiple hook rig with some type of underwater light to attract these fish. There is no light that penetrates this deep so anything that makes a commotion down there will help you get the bite. It is best to keep the bait on the bottom for as long as possible. 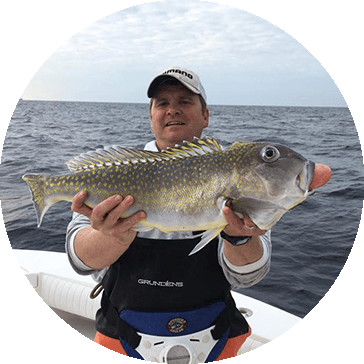 Golden tilefish are hard fighters that have a beautiful array of colors, that table fair (known as poor man’s lobster). 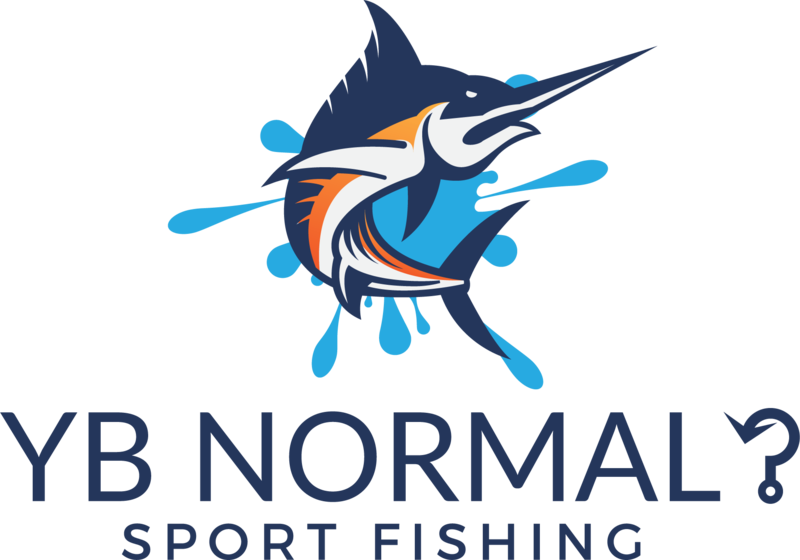 They are a great fish to catch so next time you are in Ft. Lauderdale charter the YB Normal and we will put you on them.